Samsung is pretty pumped about its brand new A-Series handsets it seems. 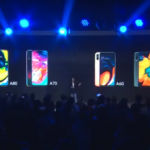 The company only recently launched three new A series handsets – the Galaxy A10, the Galaxy A30, and the Galaxy A50 here in India. Samsung Global also hinted at the imminent launch of new A-Series devices on April 10. And if we are to believe a recent report by German tech blog Winfuture, the company is also reportedly working a new handset called the Galaxy A40 that will launch shortly. 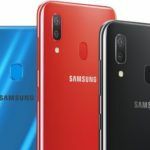 As you might have guessed by now, the Galaxy A40 seems to be positioned between the Galaxy A30 and the Galaxy A50 both of which are currently on sale in India. The leaked specifications of the device, however, makes things slightly more confusing. 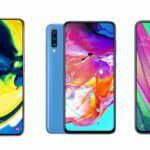 On the face of it, the recently leaked specs of the Galaxy A40 seems to indicate that it is identical in almost all respects to the existing Galaxy A30. 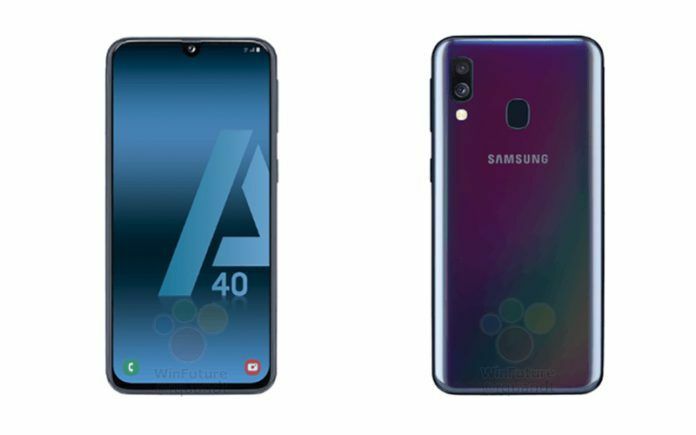 If the Galaxy A40 does exist, we guess that this is either a Galaxy A30 destined for specific markets. That being said, the new report also seems to indicate that the display size of the A40 is much smaller than the one on the GalaxyA30 thereby also hinting at the possibility of this being a new handset. Nevertheless, let us now take a look at what the latest leak around the Galaxy A40 says about this handset. 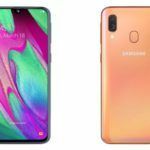 Looking at the leaked specs of the Samsung Galaxy A40, the handset seems to be near identical to the Galaxy A30 that is currently being sold in several markets across the globe including India. The new leaked image also indicates that the phone comes with a dual rear camera setup and not a triple camera setup as earlier leaks indicated. 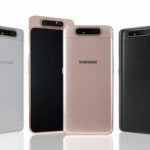 Unlike the 6-inch plus displays on both the Galaxy A30 and the Galaxy A50, the Galaxy A40 gets by with a 5.9-inch Super AMOLED panel with a U shaped notch at the top. As seen in the images posted above, the rear panel of the A40 also houses a fingerprint scanner which again, is identical to the one we saw on the Galaxy A30. What the latest leak fails to talk about is the finer aspects of the camera set up at the front and the rear. Our guess is that the phone will most likely use the Galaxy A30s 16MP+5MP setup at the back and the 25MP front-facing camera. 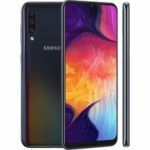 The Galaxy A40 is reportedly powered by the Exynos 7884 chipset from Samsung. This chipset is near identical to the Exynos 7904 SoC that is used on the Galaxy A30. The Galaxy A40 is likely to come with 4GB of RAM and 64GB of internal storage with a dedicated microSD card slot for additional memory. Like the A30, the phone will also feature a USB Type-C port for connectivity. The battery on the device is likely to be a 4,000 mAh unit. At the time of launch, the Galaxy A40 will run Samsung’s One UI atop an Android 9.1 Pie core. There is no word as to when the Samsung Galaxy A40 will officially launch. It also remains to be seen in which markets this device would go on sale. Current estimates peg the price tag of the Galaxy A40 to be around the 250 Euro mark.